Our windrowers run all summer long here, and we never seem to have any down time. 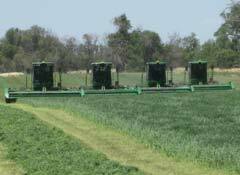 Our swathing cycles run 26 to 28 days, thus by the time we are done, it's time to start over. 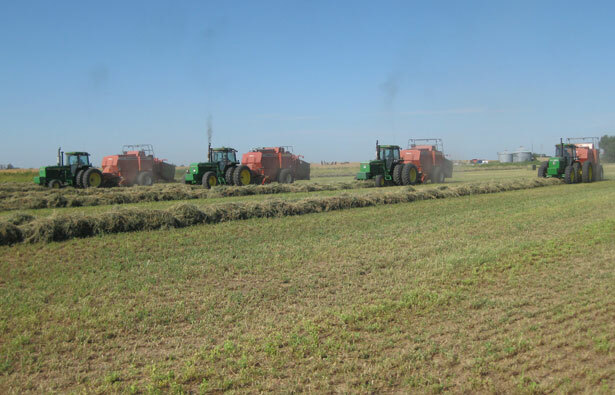 We time our cycles for optimum quality and to ensure the alfalfa isn't overly mature. 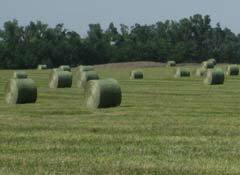 We have both sizes of large square bales (4"x 4"x 8" bales and 3"x 4" x8" bales), and that gives us flexibility to deliver to you, the customer. 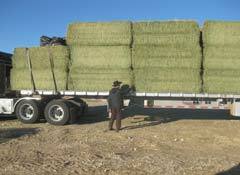 We also run round balers to meet the needs of folks who want net-wrapped rounds. 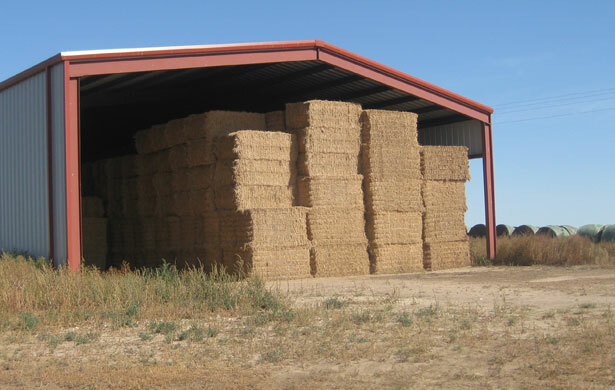 As soon as the alfalfa falls out of the baler, it is stacked in the shed. We demand a good product, and we find that it sells itself. 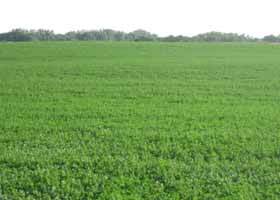 Please contact us if you're interested in more information about our alfalfa or our wheat straw. We want you to try us. You will find out that we give personalized service, and we are very proud of our satisfied customers. Contact Reggie today!